Avarekalu Masala Uppitu | Mochakka | Field Bean Upma!! Wish all my readers a very Happy and Prosperous New Year 2012. I am back after a vacation and this is my first post of the year. This year beginning was a sad day, as my closest uncle passed away and its a great loss to my family. I sincerely pray may his soul rest in peace. 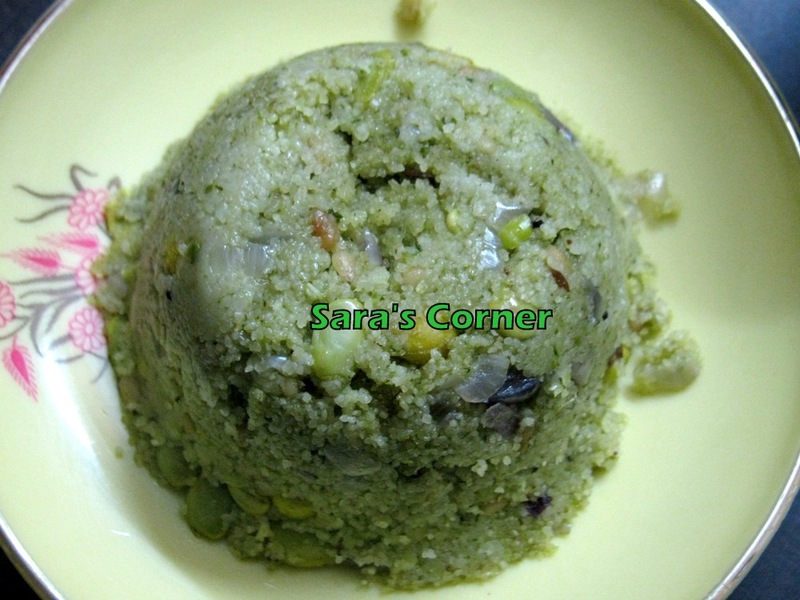 This recipe is from my Aunt who is a teacher by profession and I was impressed with this flavourful Upma. This season is of Avarekalu and I had many dishes with these. Dry Roast the Rava till its slightly brown and smells good. Keep aside. In a kadai, put pudina, coriander, green chilli, ginger, cinamon and fry till raw smell goes. Allow it to cool and grind to fine paste. In a wide kadai, add oil and mustard wait till it splutters. Add chopped onion and fry till transparant. Add the grounded paste and fry for 5mins. Add water, salt mix and allow it to boil. Add Avarakalu/Mochai and allow it to cook. Once the water is boiling reduce the flame and start adding rava and mix well without forming lumps. Close a lid and allow it to cook. Off the stove. Add 1 tspn of ghee and mix. Serve hot as it is or with Chutney. Notes - You can also remove the skin of Avarekalu/Mochai, by soaking in water for sometime. Great texture Saras. Good you have started with your blogging after you have returned. ooh ! love this anytime.. drooling over that upma now Sara ! Sorry to hear about your uncle; hope the new year brings in good tidings and joy for you and family Sara. 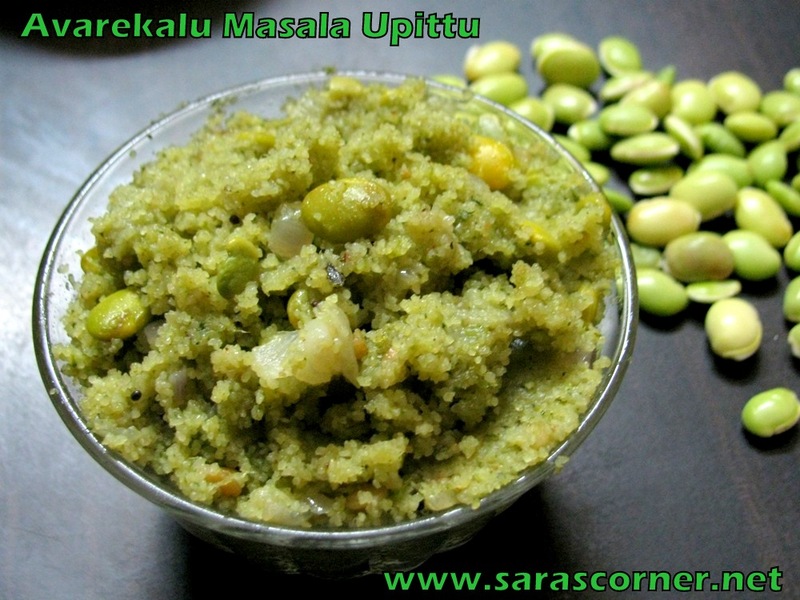 I'm a hoarder of avarekalu recipes and thanks for sharing this, Will love to try it out. looks delicious and yumyy upma..